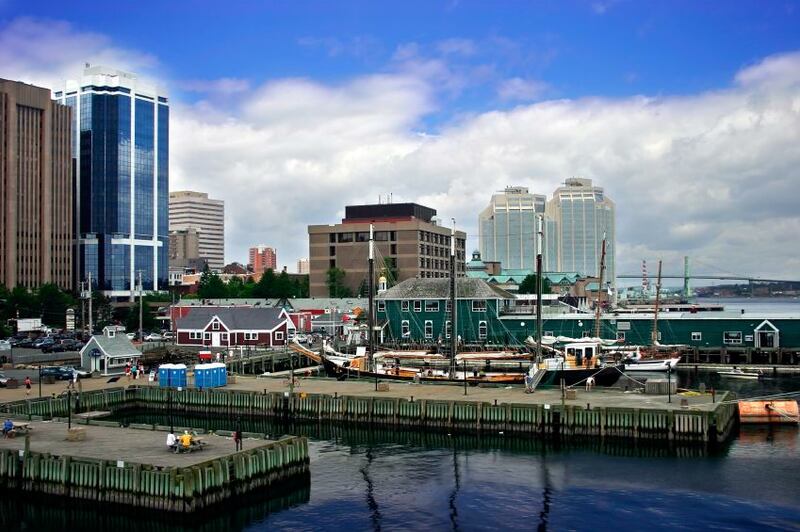 Throughout its history, Halifax, Nova Scotia, has been defined by the Atlantic Ocean. Its blue-gray presence is visible from the city's glass high-rises, centuries-old buildings and surrounding hills. Being built around a huge natural harbor that's second size-wise only to the one in Sydney, Australia, Halifax boasts a vibrant port that has catered to both commercial and naval vessels for more than 260 years. The fact that it was recently awarded a Can$25-billion federal shipbuilding contract further underscores how Halifax's ocean access drives the provincial economy. That same body of water also makes it an ideal tourist destination. The water offers ample recreational opportunities, and most major attractions—from the Maritime Museum of the Atlantic and the Canadian Museum of Immigration at Pier 21 to the Halifax Citadel (which was originally built to defend against sea attacks)—reflect the role it has played in the city's evolution. Whether you are strolling on the photogenic 0.6 mi/1 km harborfront boardwalk, which extends from Casino Nova Scotia to Marginal Road, or hiking in Point Pleasant Park and Sir Sandford Fleming Park, which face each other across the Northwest Arm, water is virtually everywhere—and foodies will marvel at the fresh seafood it yields. Nevertheless, there is more to Halifax than the ocean. As the capital of Nova Scotia and the largest Canadian city east of Quebec, Halifax is a center for government, business and health care, which translates into a relatively affluent population. It is a center for higher education, too, with students from six universities injecting a decidedly youthful energy. When you combine those two demographics and factor in locals' famously friendly nature, it is easy to see why Halifax is also an entertainment hotspot, complete with a thriving arts community, an active music scene and nightlife options that few cities of its size can rival.